Those five words, attributed to Renaissance artist Leonardo da Vinci, sum up the feel to the Hall's 160-square-foot abode, which makes its home somewhere in the state of Massachusetts and serves as shelter for a family of three, including Mom, Dad and an 18-year old son. This home has clean, precise lines and clearly reflects the family's embrace of a tiny living lifestyle. Most people would, by themselves, clutter up a space of this size with all of their belongings, including multiple pairs of shoes, piles of clothes, appliances, furniture, books, CDs, DVDs, collectibles and sporting gear. 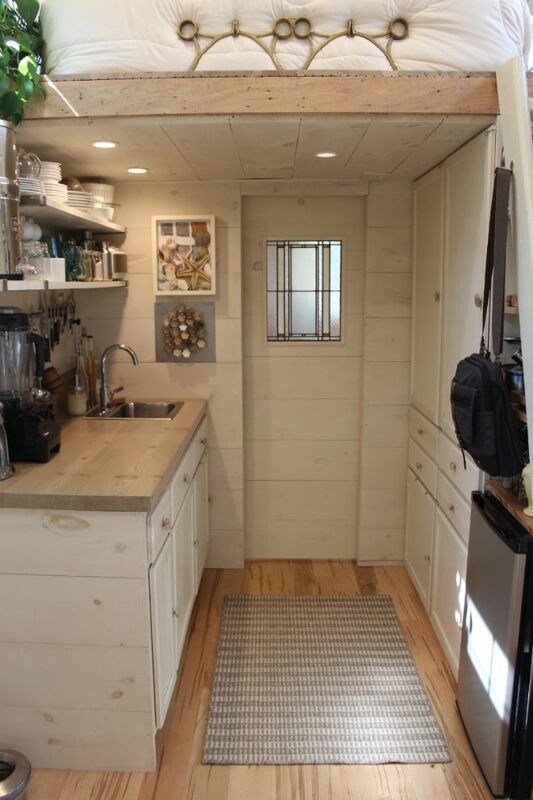 We've all seen kitchens that could not fit into a space this small, let alone all the comforts of home, complete with a bathroom, kitchen, living room and beds for three sleepers. 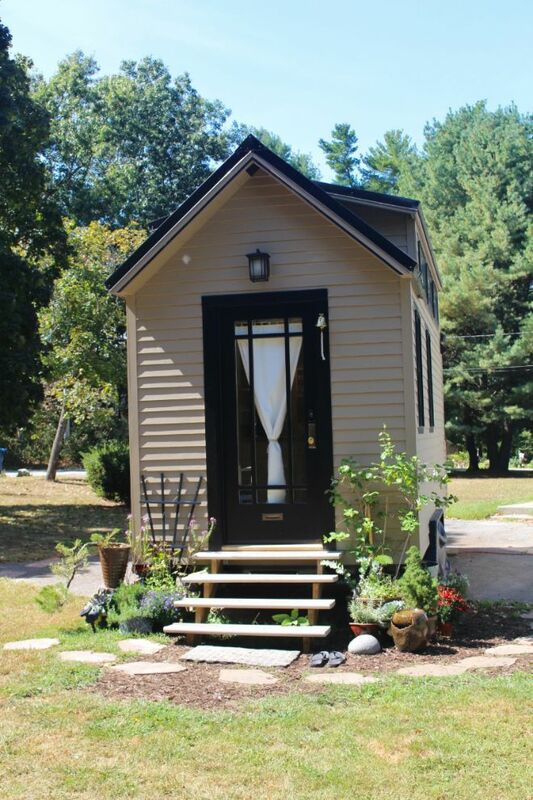 The landscaping surrounding the steps helps the Hall's tiny house look like a home, as does the curtain behind the front door. 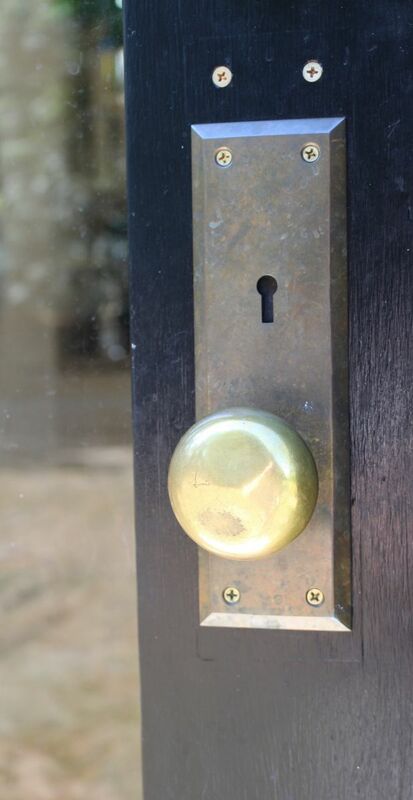 The Hall's have posted photos of their home's doorknob with good reason. It is details like this that make a box into a house and turn a house into a home. 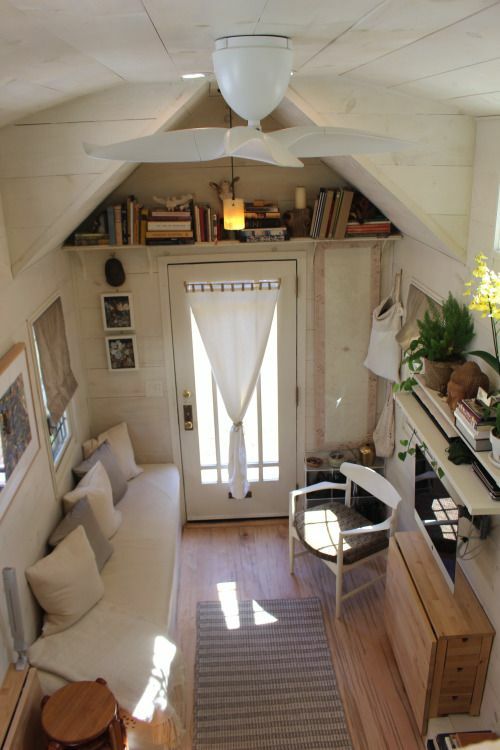 Here's a look at the downstairs living room -- often called the "big room" by the tiny house community. 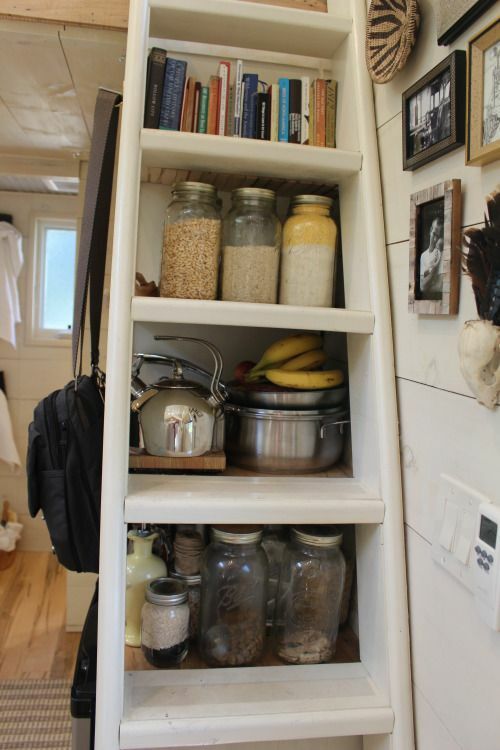 For a family of three, the absence of clutter is amazing. 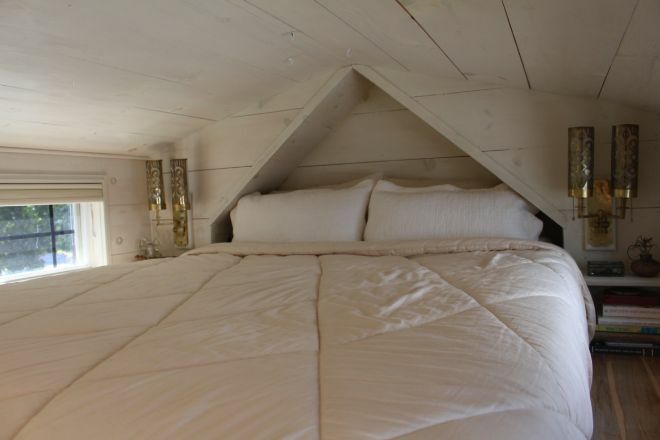 What you see below is the bedroom loft with the futon mattress held into place by some brass foot-rails that once held feet up at a local pub. Found at a salvage yard, "they cleaned up great," the Hall's blog announces. This second look at the living room shows the stacking tables next to the snoozing dog. That's four identical tables taking up very little space. 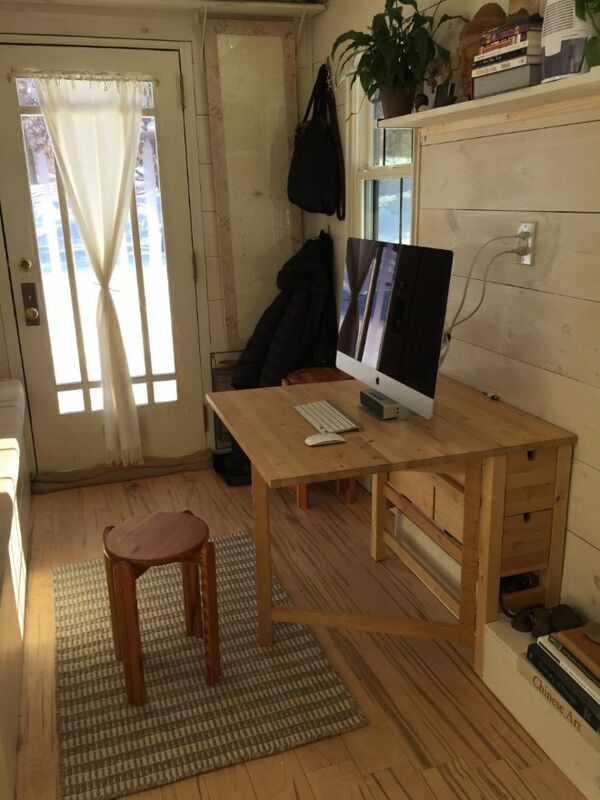 You can also see the desk on the right that folds down to almost nothing when not in use. And here's the desk and one of those stacking tables when they are being used. The stacking table, however, is finding a new purpose as a stacking chair. Again, the two large dormers are responsible for the spacious shoulders of this house, which measures 8 feet wide by 20 feet long by 13 feet tall. 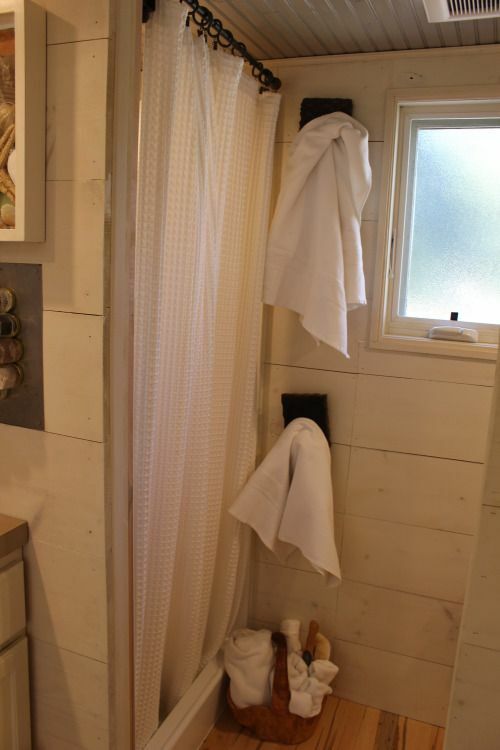 The bathroom displays more of the elegance of simplicity. 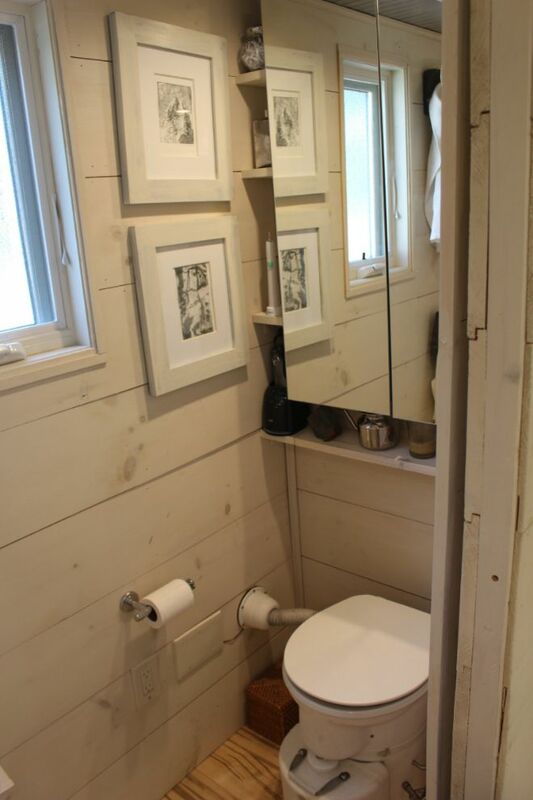 OK, a tiny house with a toilet is great, but this is a tiny house with a full-sized mirror in the bathroom! That's really living rich. 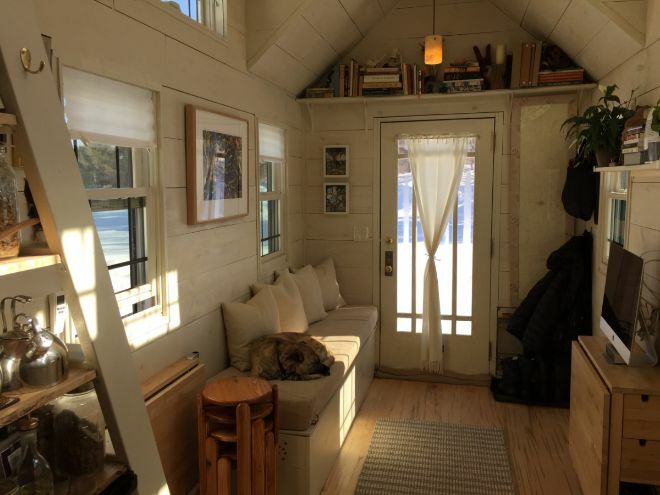 In the photo below, note the folding window shade and (high in the photo) the windows that run the length of the dormer. 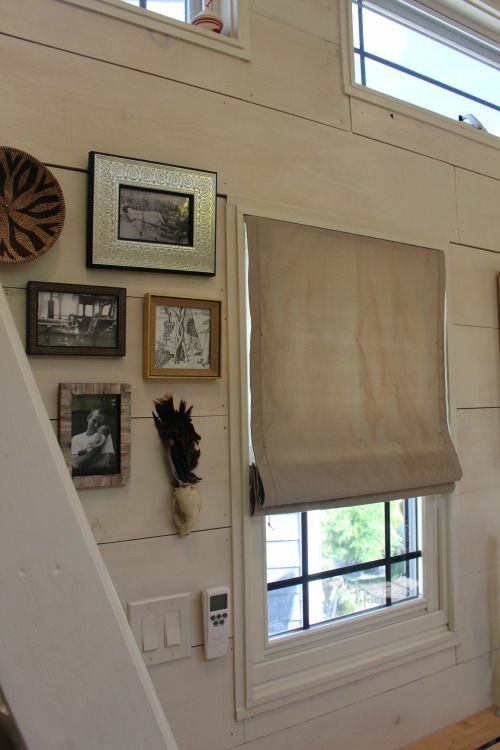 However, it's those framed photos and family knickknacks that give this home its endearing qualities. Here's a reverse view of the same scene. It should be mentioned, perhaps, that the author shares the Hall's surname, but they are not related. 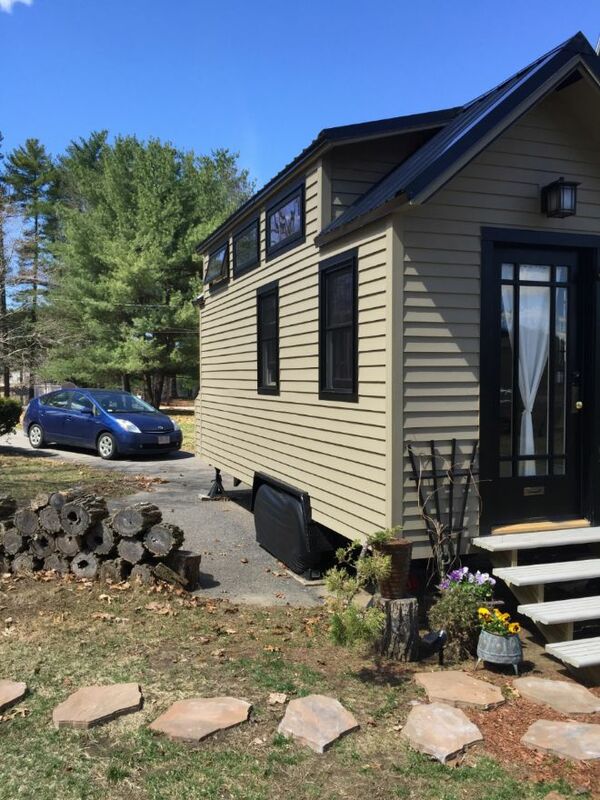 Tiny House followed by a tiny car. 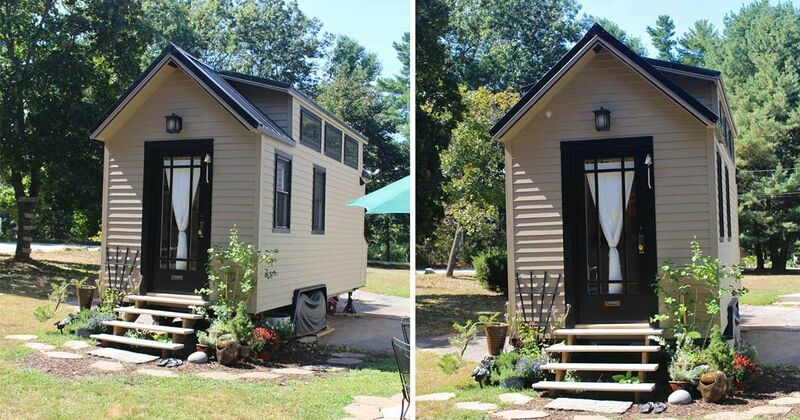 This angle, however, highlights the dormer that adds so much extra room to this tiny abode.